Make your own beautiful dried flowers. 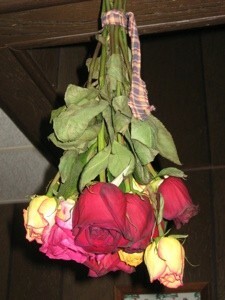 Simply hang fresh flowers in your front room on a plant hook, leave for about two or three weeks. Voila! Beautiful flowers.